Home » News of the Mumonkan club » The results of the training season 2010-11 in the Mumonkan club. Dear friends! 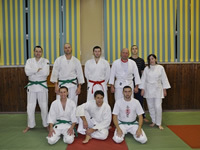 Another training season in the Mumonkan Aikido Club has come to its end. Let's summarize briefly its main results. The Club has taken part in the annual training certification seminar on Aikido which was held by Mr. Makoto Ito, an instructor from the World Center Aikido Aikikai Hombu Dojo. 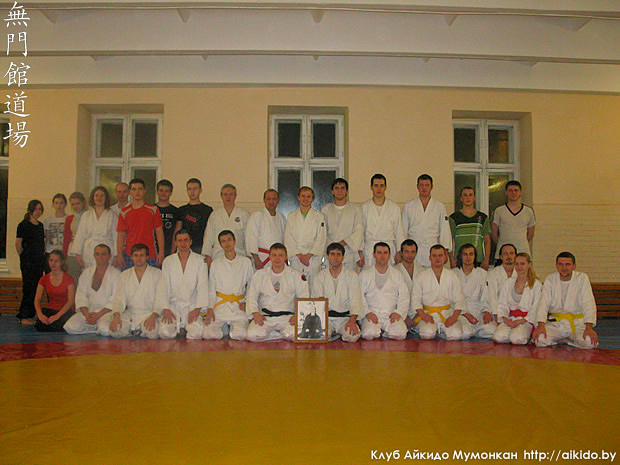 The Head of the Club Mr. Vitaliy Goleshev has held four training seminars on Aikido. 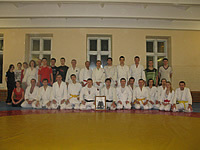 Two of the seminars took place in Moscow in the Center of Afro-Brazilian culture together with representatives of the brazilian martial art of Capoeira, one more seminar in Navapolatsk, in one of the branches of Mumonkan club, and one seminar – in Grodno. Recently (since September 2010) 18 representatives of the Club have successfully passed qualifying examinations. 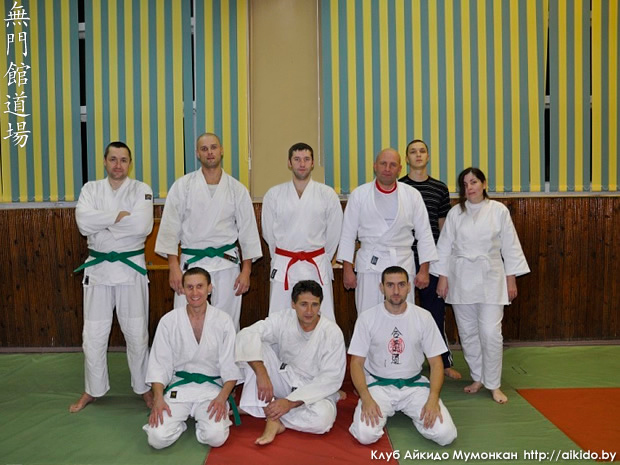 Among them – Mr. Alexander Nestyuk who has successfully passed examination for 1 Dan Akido Aikikai, 4 students have passed examination for 4 Kyu, 6 students have received 5 Kyu and 7 students have passed examination for 6 Kyu in Aikido. New members constantly join our club, and they are mainly interested in application aspect of Aikido and practical application of knowledge received at trainings. We think this season was successful and fruitful. Please be informed that from July 1 to August 8, 2011 the Mumonkan Aikido Club declares summer vacations. Dear colleagues and friends, we wish you all a good summer sun, relaxation, and new bright impressions. See you on tatami in August! Schedule of Aikido trainings and addresses of dojos.